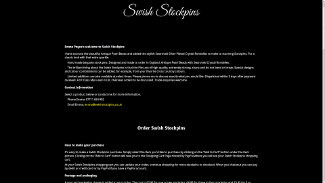 Welcome to our portfolio of web sites designed and created by WebShore. These web sites achieve good rankings on the Google search engine when significant site related words are enter into its search box. Accomplishing this is factored into our design process. Click on the link provided to visit the web site itself. 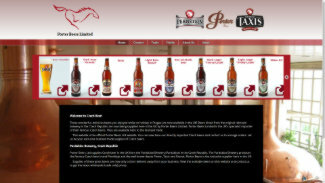 Description: This site has been developed for an importer of fine Czech beers selling to the licensed trade. This is a business to business website with a clear display of products. Description: A simple shop complete with shopping cart for selling an attractive niche product online. A very economical means to get selling. 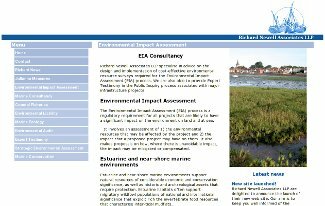 Description: A web site designed for a marine ecology consultancy firm specialising in the provision of expert advice on the monitoring and mitigation of potential environmental impacts associated with infrastructure projects in coastal waters. Description: Holiday cottage web site offering self-catering accommodation in a beautiful part of the country. Description: The Cockatoo is a gift shop web site. It offers gifts of distinction for people of taste and humour. Description: Swanbrook Bus Ltd uses this web site to publicise its bus timetables and bus services operating in Gloucestershire. It includes its popular and well-known Gloucester to Oxford service. Description: A web site for a company covering all aspects of construction related design, management and legislation. Regarding this web site the director wrote, "I think the site is excellent...Thank you for all your effort and speed." 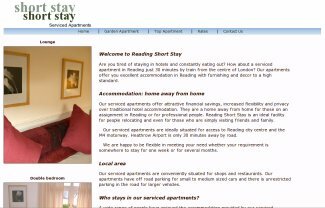 Description: This contemporary web site offers short term appartment lets on a fully serviced, fully furnished basis in Reading. Description: Cheltenham Stay web site offers homestay accommodation for overseas students and short term self-catering accommodation for interns in Cheltenham.. 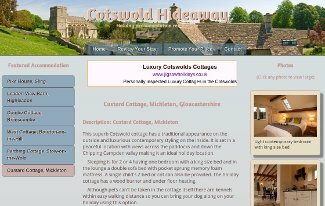 Description: This web site for Cotswold Hideaway Review promotes charming holiday cottages in the Cotswolds. Please note this web site is under revision and development to reflect its new direction. 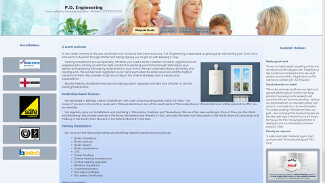 Description: A web site designed for a local plumber who specialises in heating installations. Makes good use of his admirable feedback from clients to reach his target market. 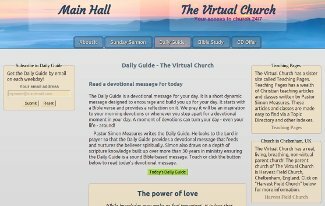 Description: This is an interactive web site allowing visitors to post questions, greetings, prayers and other messages. Description: This web site is for a new business in Gloucestershire specialising in urgent deliveries of parcels and letters in the Gloucestershire area. Description: This web site offers holiday accommodation in the Snowdonia National Park. The Cottages provide a range of delightful holiday accommodation in carefully converted old stone buildings created from a traditional Welsh woolen mill. Please note this site was created many years ago and the owner has so far not felt it requires upgrading. Description: The most popular web site WebShore has created in terms of visitor traffic. 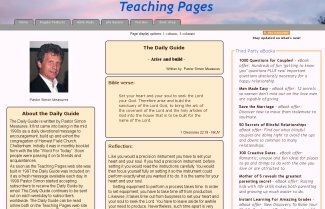 Originally developed in 1997 and has had a number of complete make-overs since then.It has Christian content with classes on subjects like divorce and money management. 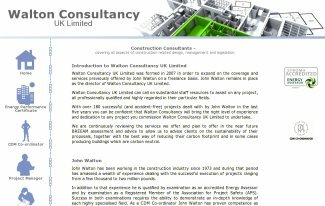 If you are interested in having us build and design a web site for you please contact us either using the online form on our Contact page or, alternatively, give Simon a call on the phone number provided on that same page.